Do you long for the thrill of the search when it comes to seeking out that perfect antique item? Thanks to Long Island’s rich history, the area is quite the trove for classic treasures, including antique furniture, fine China and porcelain, and even vintage toys from all around the world. 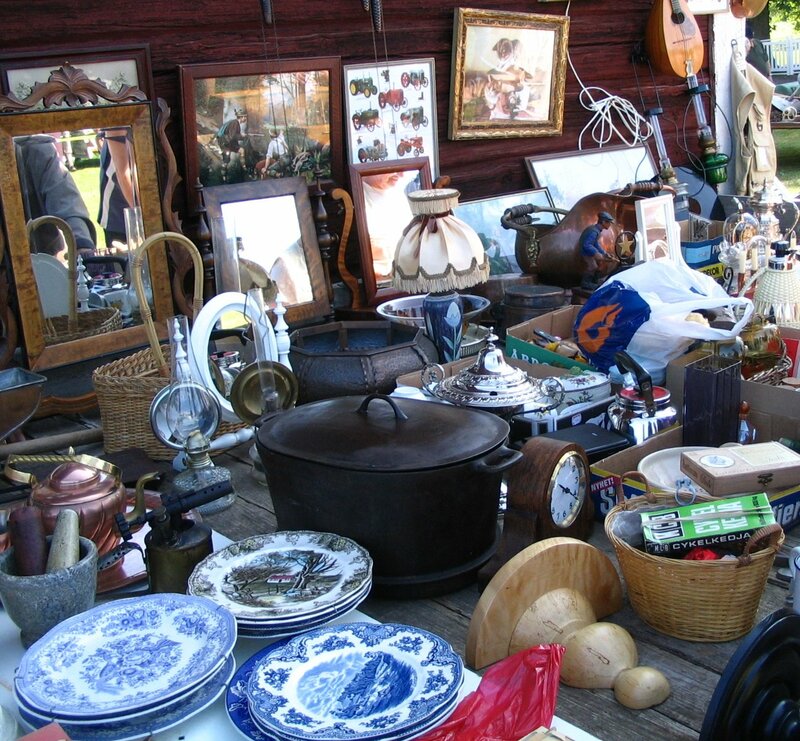 There are many places where you can find antique goods, ranging from yard sales and thrift stores to auctions and more specialized antique shops with appraisers on hand. On Long Island's North Fork, you can further search for hidden gems in barns and rummage shops - many of which are on Route 25 on the way to beaches, farmstands, wineries, and other popular summer destinations. Regardless of where you shop, it is important to be an educated shopper while antiquing, and to know what you are looking for, its approximate value, and how to tell if it is authentic. The best way to learn more about antiques is to research items online and look for the going price of that special chair or clock. Also, be sure to search for identifiable markings and logos that prove the authenticity of your item, such as prints underneath glasses, bowls, and dishes, so that you know what to keep your eye out for while shopping. If you are unsure of the value of the item, you can also seek out a personal appraiser to tell you what something is worth. Many upscale antique shops have an experienced professional appraiser on hand, and it is common for them to give an initial appraisal for free. Just like any special field, antiquing has a language all of its own. Though most words are specific to certain time periods or manufacturers, there are also words that relate to the age of the item, so be sure to brush up on your lingo! Antique: An item of considerable age (typically 100 years or older) which makes it highly valuable. Vintage: An item that is typically less than 100 years old. Collectible: An item from a set that is from the same manufacturer or same time period. Appraiser: The person who is typically an expert on antiques and can determine the value of an item. Look for markings from the maker or manufacturer to prove authenticity of your item. Expect to haggle over a price, and be sure to do your research and review prices of items online. Keep the extravagance under control and decide how much you want to spend before you leave home. If searching for antiques to use on a daily basis, be sure to choose functional, solid pieces that ill withstand regular use. Look carefully for needed repairs, such as scratches or tears. Checking for such defects can help haggle a price down. Know your measurements, and have a tape measure on hand to measure items to make sure you can transport the item home and that it will fit perfectly in your home. Be aware of the costs of fixing up a piece. Rewiring and upholstery can be expensive, and may not be worth the hassle. Formerly known as Giles Antiques, Stam Gallery is your place for buying or selling fine art and antiques. Owner Steven Stam is an experienced appraiser and specializes in period antiques (pre-1840s). Taste and See is a Christian business and outreach that offers a thrift experience for the discerning shopper who doesn’t want to deal with musty smells or sifting through dirty items. The shop offers name brand furniture, mint condition china and crystal, oil paintings and signed prints, clothing, and much more. This upscale antique and thrift store specializes in entire estate liquidations, and has experienced staff who have been in the business for over 30 years. Here, you can shop for fine jewelry, antique furniture, sterling silver, porcelain, and paintings for your home. Oakdale Antiques stocks a plethora of unique and quirky antiques, including a large selection of antique clocks and antique toys. Named for the owners’ grandparents, Sylvia and Lee, Marion Zimmerman Rizzo and Adam Zimmerman buy and sell antiques, collectibles, fine art, jewelry, pottery, and more. Shoppers looking for high-end glassware can also find that at this shop with Tiffany and Waterford glass. Photo by jansun, via FreeImages.